Orthognathic surgery may be required when there is a problem with the temporomandibular joint or the jaw joint. Orthognathic surgery is often necessary in the case of major craniofacial reconstruction or cleft palate repair. Patients who need orthognathic surgery are usually those whose jaw conditions cannot be treated by orthodontic treatment alone. Orthodontic surgery is carried out by cosmetic facial surgeons in collaboration with an orthodontic surgery specialist since orthognathic surgery often needs to be followed by braces to restore the correct position of the jaw. Orthognathic surgery may result in improved smiles in cases where previously large amounts of teeth or gums were visible while smiling. Orthognathic surgery may result in improvement in smiles where all the teeth are covered by lips while smiling. Orthognathic surgery may signal relief for patients of sleep apnea. One of the techniques used in orthognathic surgery is the bilateral sagittal split osteotomy. In a bilateral sagittal split osteotomy, the lower jaw is split mid-way and moved forward or backward to improve its alignment. The bilateral sagittal split osteotomy is the most common type of orthognathic surgery performed by cosmetic facial surgeons. Bilateral sagittal split osteotomy is used for the correction of malocclusion, and misalignment of teeth which cannot be corrected by orthodontics. Any kind of physical-impairment can cause great distress and cause serious problems in one’s personal as well as professional life. This is the reason why orthognathic surgeryi.e. jaw surgery in India is becoming more and more popular by the day. Until a few decades ago, many disorders regarding jawline and the face could not be treated beyond a point. But this is not the case today. Technology has advanced so much that any genetic or acquired disorder that involves the jaw tissues or jawline can easily be corrected using orthognathic surgery in India. Orthognathic surgery includes surgery of the upper and lower jaw. Orthognathic surgery includes correcting jaw defects arising from heredity, accidents, sports injuries or general dissatisfaction form ones appearance. Orthognathic surgery can also help correct the defects in teeth. Extensive investigation is done in the patients’ medical history before commencing the process of orthognathic surgery. Orthognathic surgery is a simple procedure but requires finesse of the hands of expert surgeons. Orthognathic surgery uses various kinds of jaw implants. The cost of orthognathic surgery is also dependent on the type of implant or implants used in the surgery. Orthognathic surgery is generally used along with chin implant to give the full effect. Be advised that you doctor can give you correct orthognathic surgery only after a physical examination. After a physical examination the doctor will be able to advise you on the changes that you can expect on your face after the orthognathic surgery in India. Dr. Shome’s intelligent eyes and constantly smiling face, along with his reliable demeanor puts the patients at ease and fills them with confidence and hope. A jaw correctionsurgery i.e. the orthognathic surgery performed elsewhere can be pretty costly especially since the surgeons are limited to only a handful of recognized hospitals. Thus medical tourists choose to come to India to get the orthogenetic surgery done at a much reasonable costs. In India, an elaborate oculoplastic surgery will cost only around INR 80,000plus as per complexity involved. Cost effectiveness is not the only factor that makes India a preferable destination to medical tourists; India’s medical technology is so much more advanced than that of most countries and therefore most patients don’t mind even a little extra cost. Dr. Shome’s specializing areas are multiple and it is does require pointing out that he excels at all of the fields he has specialized in. His niche areas include oculoplastic, orthognathic surgery, orbital and socket surgery and cancer involving the face and eyes. He also specializes in many types of facial reconstructive operations. 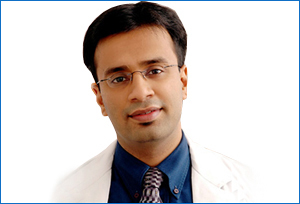 Presently practicing in Mumbai, he is proudly heading the Facial Plastic Surgery center in the Nova Specialty hospital. He also holds the honor of co-founding the Institute of Aesthetic Surgery – The Esthetic Clinics, which happens to be one of the most sought after organizations in India. Orthognathic surgery in India has been made a very popular surgery worldwide under the expert hands of specialists like Dr. Debraj Shome from Mumbai India. Orthognathic surgery cost India is an important factor when it comes to deciding when you want to get the surgery done. Orthognathic surgery in India includes the operation of both upper and lower jaw as required; correct improperly positioned jaws and thus correcting problems with eating, breathing, speaking and even pain and various cosmetic issues. The cost of x rays, making moulds of the patient’s mouth, and the type of surgery needed. Cost of anaesthesia and the materials uses in the surgery such as surgical plates, screws, wires, rubber bands etc. It takes about two to three weeks to recover from the surgery and after surgery consultation will be required with the doctor for check-ups. Teaching hospitals sometimes offer some discounts for orthognathic surgery in India and you can check for cost comparison with them. Various risks of orthognathic surgery include swelling, bleeding, infection and numbness etc. and the cost of treatment of these should be included in the overall cost of orthognathic surgery in India.